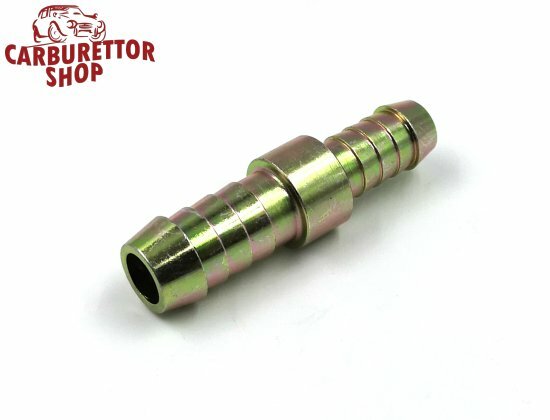 Metal Fuel Line Adapter 12 mm - 10 mm. This concerns one fuel line with an internal diameter of 12 mm and one with an internal diameter of 10 mm. Despite the barbed ends, we do advise you to use our premium quality jubilee clips to secure your fuel line onto this joiner. Alternatively, you can go HERE for our accessories for 10 mm fuel line or HERE for our accessories for 12 mm fuel line.